Talking about child abuse makes many people uncomfortable. And that taboo has consequences: in India more than 53% of children are subjected to sexual abuse. Few Parents do feel that their children should know about child abuse but due to lack of proper means and inherent embarrassment, they leave the subject unaddressed or explain it in an abstract way rounding up to a set of instruction of Do’s and Don’ts imposed on children. 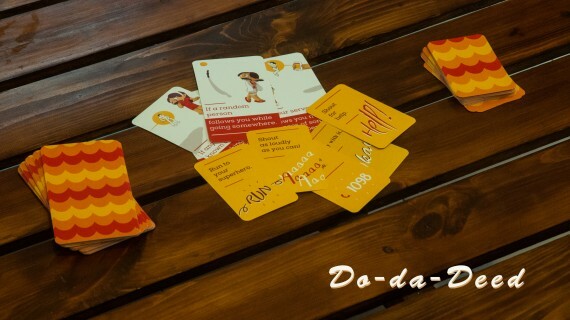 Do-da-deed educate children’s about child abuse in a playful manner in the form of game. Also, colourful illustrations in game helped in creating an environment where child abuse ceased to be a taboo. Children take action against each scenario presented to them. The superhero in game (a parent or a teacher) decides wether the action taken by child is appropriate according to situation or not. This provide children a safe environment to take risk and immediately reflect the consequences of a behaviour. Do-da-deed not only provides a medium to children to understand about child abuse but also provide parents a way to talk to their child by being a superhero in the game. It also helps parents to understand how their child perceive and handle’s a situation. Eventually helping to form an open and strong bond with their kids. Through Do-da-deed, a child learns to assess a real life situation by reflecting over how the same situation was handled in a game which helps him/her to take the appropriate action against a given situation.